We offer continental and African Cuisine with five star standards. The restaurant is open to both customers lodging within the hotel as well as visiting guests. 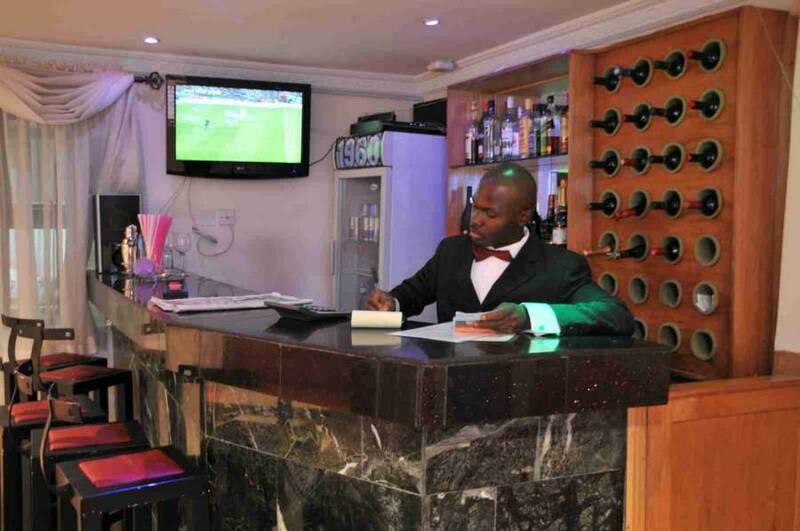 The bar is well stocked with internationally acclaimed wines and spirits. For business launches and meetings, we have a conference hall that is cozy and homely. Small enough to break the ice while serving its functional purpose. The security personnel are well trained and provided with necessary equipment to effectively carry out their duties. A 24 hour patrol and inspection are daily embarked upon. A Back up sound proof generator sets of 200kv, 100kv and 60kv aid to ensure a 24 hour power supply. 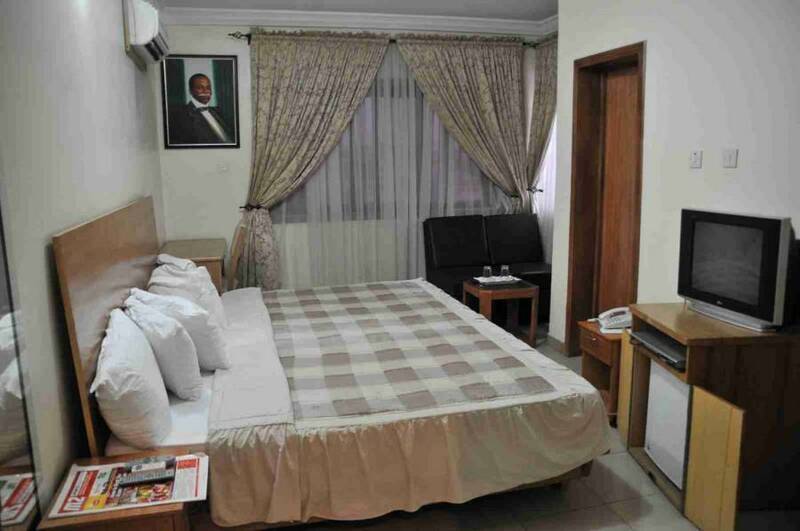 Other facilities include a well equipped laundry and dry cleaning service as well as internet connectivity in every room. 24 hours car hire and bus shuttle service with brand new air-conditioned vehicles and well trained drivers available for the comfort of our guest. 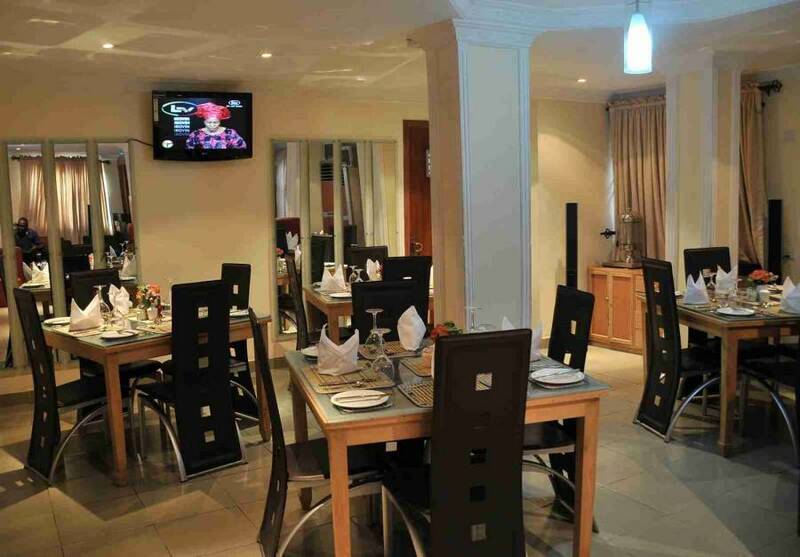 Restaurant We offer continental and African Cuisine with five star standards. The restaurant is open to both customers lodging within the hotel as well as visiting guests. BAR The bar is well stocked with internationally acclaimed wines and spirits. Conference Hall For business launches and meetings, we have a conference hall that is cozy and homely. Small enough to break the ice while serving its functional purpose. Security The security personnel are well trained and provided with necessary equipment to effectively carry out their duties. A 24 hour patrol and inspection are daily embarked upon. 24, Olufunmilola Okikiolu off Toyin Street by Oceanic Bank Ikeja, Lagos. Cancellation must be done a minimum of 3 days before arrival, 25% of total payments liable will be collected for cancellations made 2 days to arrival. NO ARRIVALS/NO SHOWS will attract 50% of total payments. 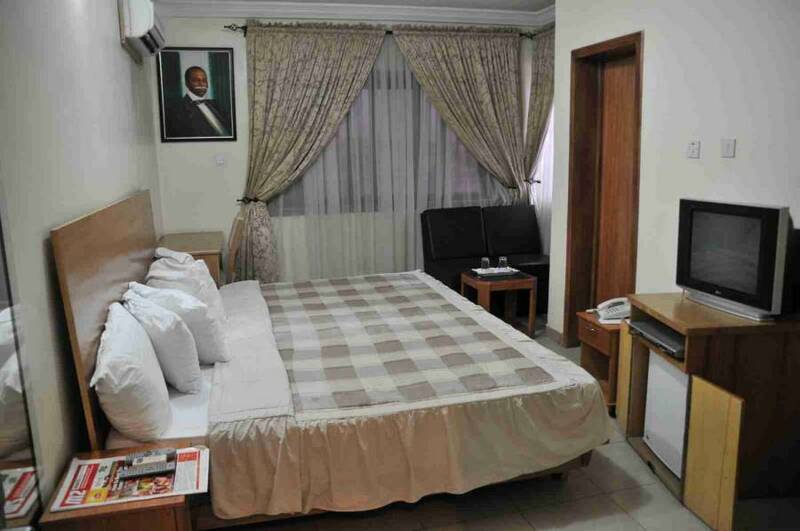 From International airport-take a taxi to 24, Olufunmilola Okikiolu off Toyin Street by Oceanic Bank Ikeja, Lagos.